For my readers, we can’t talk enough about children and their capacity for great faith. These are the stories worth retelling. Rising up a child in the faith is a constant thing. We can’t just let Children’s Ministers and Youth Group leaders be responsible for the spiritual training of our children. 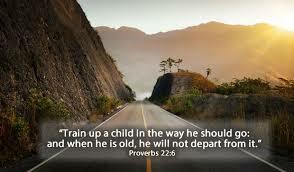 Parents must also cultivate a deep faith in our children and constantly set an example. I’ve tried to do that, by answering my daughter’s questions, and keeping our faith alive at home. In addition to regular church attendance, my daughter watches her parents pray, attend Bible Study, and listen only to Christian music. Sometimes I wonder if I am being successful. Monday morning I got my answer. Does Your Church Have Grit? That’s so awesome..I have 3 children..a 22 year old daughter, a 19 year old son, and a 10 year old son..I’d had some trouble this past year with my older son..I’ll admit it was a trying time but my 10 year old son kept telling me Mom don’t worry God will take care of my brother..this was when God showed up in our lives that there was no way we could deny He existed..I’ll do always believed He existed..just didn’t have faith..anyway..when all was said and done and the light shone in our darkness my 10 year old said..see mom God told me He would take care of my brother and us and He did. WOW!!! I’ll never forget that.